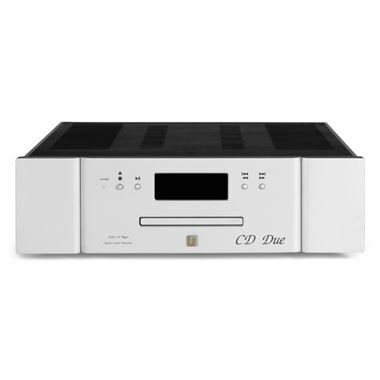 Unison Research Unico CD Due Cd Player with USB DAC and Bluetooth. Available with Online Finance and Free Delivery. The Unison Research CD Due is both a High end DAC and a CD player that has been developed though extensive listening sessions and meticulous R&D. It combines Unison Research’s high end sound quality with digital audio inputs to give a truly versatile solution to anyone wanting a powerful but simple to use system. On the rear of the CD Due Coaxial S/PDIF, balanced AES/EBU and optical Toslink outputs are available as well as unbalanced RCA and balanced XLR. The CD drive comprises of a sleek design encased in a thick metal shield isolating it from the rest of the circuitry while remaining aesthetically pleasing. In true Unison Research fashion the output stage utilizes four ECC83 valves in the innovative Double Triode, pure class A differential totem-pole configuration (also found in the Unico 150 and Unico 90 Amplifiers). This reduces the possibility of noise from the power supply and gives the triode sound with the drive of a cathode follower. With the use of an Apple lightning to USB connector (not included) you can plug your iPhone/iPod/iPad directly into the CD Due's DAC and play your hi-res music files straight from your device. The new 128 x 64 graphic display utilizes white OLED technology giving excellent visibility in all lighting conditions and from all angles. The display will show all the information you need giving you the most important information in large text on the top line with any other information in smaller text on the bottom line. The display can be turned off using the ‘Display’ function on the CD Due’s remote allowing for listening without any illumination.